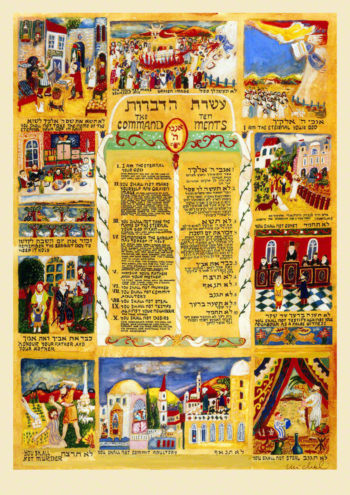 Also known as the Decalogue, are a set of biblical laws relating to ethics and worship, which play a fundamental role in Judaism and Christianity. 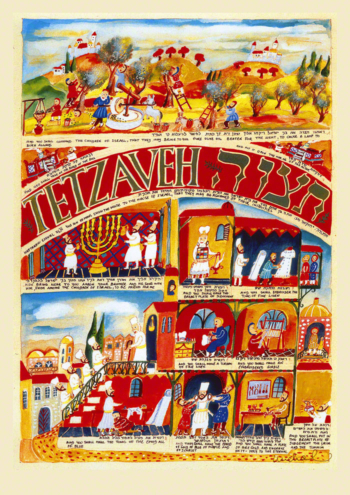 They were believed to be given to Moses on mount Sinai. 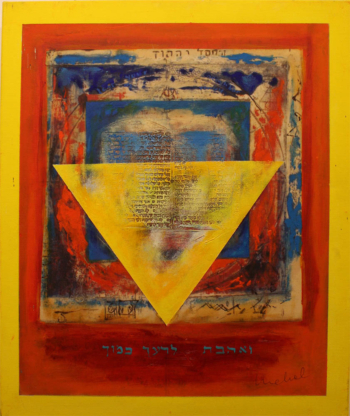 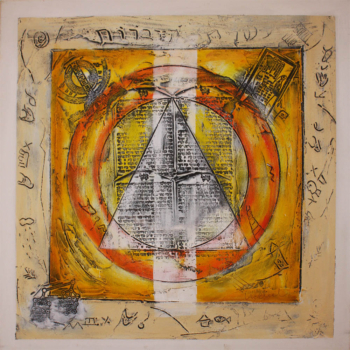 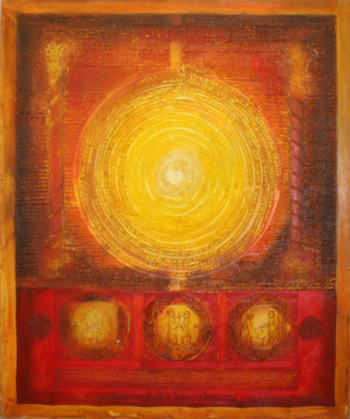 Michal made this abstract interpretation of the Ten Commandments to convey, as she explains in her own words the universal message of :” live and let live” which she sees as a basic right of all human beings and the concept upon which all religions are based.